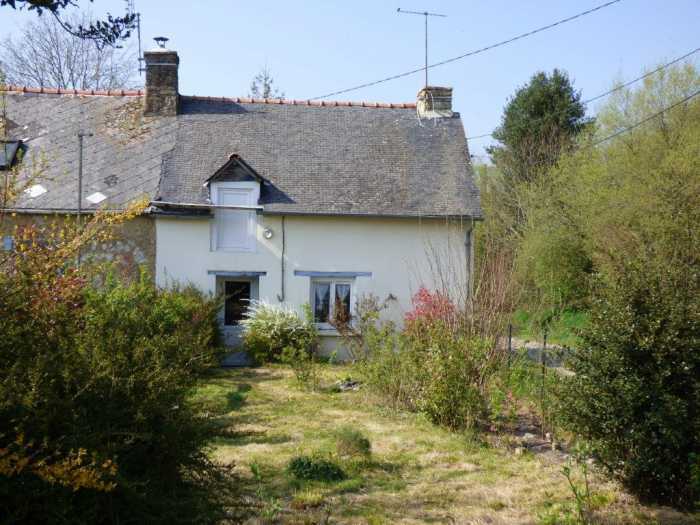 Properties for sale in Brittany, France - AHIB-1-ID 2192 Laurenan 22230 Pretty little semi-detached property to renovate with 4600m2 (over an acre)! AHIB-1-ID 2192 Laurenan 22230 Pretty little semi-detached property to renovate with 4600m2 (over an acre)! This could be rather nice. One room living for the moment! Ground floor: living room with electric and water point. Above a loft. Garden of 4600m2. Open fire. Référence 2192 se situe à Créneleuc à LAURENAN. avec point d'eau et électricité. A l'étage, grenier. Terrain de 4600 m2. Cotes d' Armor... New in! AHIB-1-ID2134 Laurenan 22230 Detached house, an old mill and 5 acres with outbuildings. AHIB-1-PO-086 Treguier 22220 Remote chocolate box cottage on the edge of the river with stunning southerly views. AHIB-1-ID2188 Le Cambout 22210 3 bedroomed detached pavillon with nice garden and garage. AHIB-1-PO-083 Paimpol 22500 Detached 5 bedrooms house with superb views and 6 minutes from the sea. AHIB-1-PI-2227 22330 Le Gouray. Stunning 15th Century Manoir. Character, with 5 bedrooms & galleried lounge. cottage garden, with a stream. AHIB-1-PI-2223 Langourla 22330 Character 5 bedroomed home, with a 3 bedroom gite, superb heated swimming pool, end of a lane, 4.7 hectares, with fantastic views.